It's hard to get crafty when you have so many things to do. What you need is a creative project that's easy, fun, and quick. This colorful fabric necklace is all of those things. 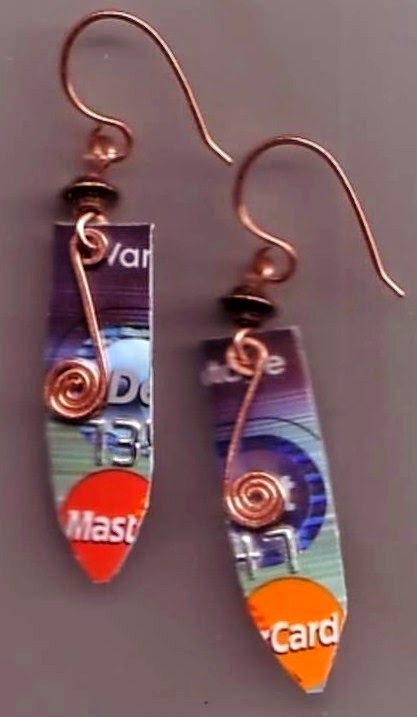 It combines sewing and jewelry making. Most importantly, this crafty necklace is so easy it will take less than 30 minutes out of your hectic day. You can select the fabric of your choice: a neutral remnant or a whimsical print that fits your style. 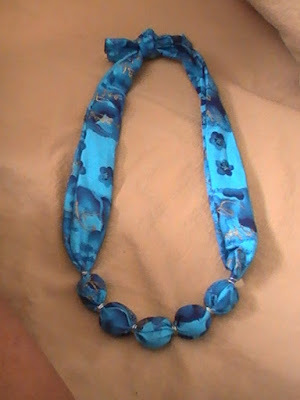 If you've sewn a dress or skirt from a fabric you love, make a necklace from the leftovers. Round wooden beads from the wood section of a craft store. The illustrated necklace uses beads that are 3/4 inch in diameter. Craft wire (optional.) You may use thread instead. The tools you need aren’t really tools at all. Of course, if you want to get a little fancy with wire trim, you might need a pair pliers and a pair of wire cutters; but as you see, those are optional. Cut a 3-inch length of 36-inch wide fabric. Fold fabric in half, right side in. Machine or hand stitch a 5/8 seam along the open side. Pin a safety pin to one end of your fabric tube. Work the safety pin through the tube to turn it right side out. Then add wooden beads by pushing them inside the fabric tube. To secure your wooden beads in place, you can use wire for a metal accent or thread. 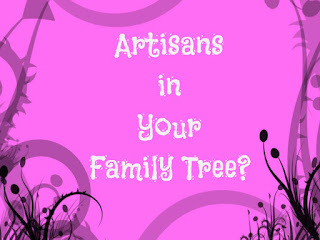 Thread is easier and safer to use, especially if you're working with your favorite young crafter. You can finish your necklace with wire or thread trim. It adds a bit of detail to your fabric necklace and helps hold the beads exactly where you want them. If you use wire, be sure to smooth the edges with a file. If you don’t have a file, try using a cushioned emery file like you find in a beauty supply store. If you prefer wire accents, cut six 1 & 1/2 inch pieces. Use your safety pin to mark the center of your fabric tube. Slip a bead into the tube until it reaches the center. Twist the fabric on each side of the bead one twist at a time. Loop a piece of wire around the twisted sections of fabric. Tighten and secure wire into place with pliers. Do the same with each bead. If you are using thread, wrap eight inches of thread around the twisted fabric. Knot it a few times to hold it in place, then clip away the ends. Finish your fabric necklace by adding as many beads as you choose. Start with the center then add beads, first to one side of the center bead, then to the other. As you add each bead, secure it into place with thread or wire. You can hand sew a clasp into the back of your necklace. It will look more finished if you plan to sell it. but you don’t have to. It’s also completely wearable if you simply tie the ends together at the back of your neck. In just a few minutes you will have created a necklace that's clothing and jewelry all rolled into one. When you've got a few more minutes to spare, try using this technique to make a bracelet, belt or headband. Use different fabrics and different sized beads. Create alone or with your kids. Just get crafty and have fun.